Apple’s Clips app for iOS, that was released earlier this year and makes it easy to create and share personalized, expressive videos on iPhone and iPad, has been updated with new artistic effects, redesigned UI and Star Wars content. 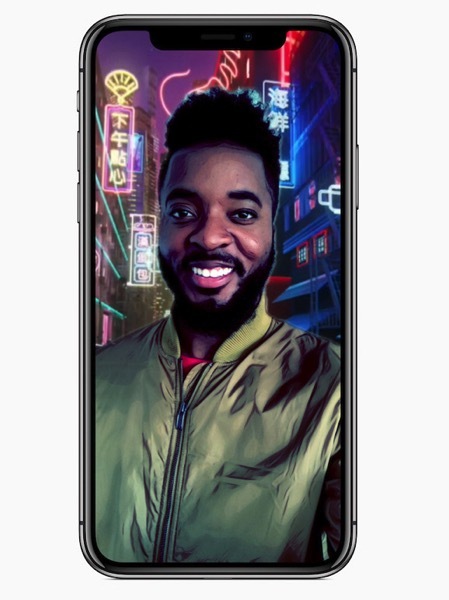 The app also introduces a new Selfie Scenes feature, that places users into animated, 360-degree scenes when recording selfies using the TrueDepth camera on iPhone X. 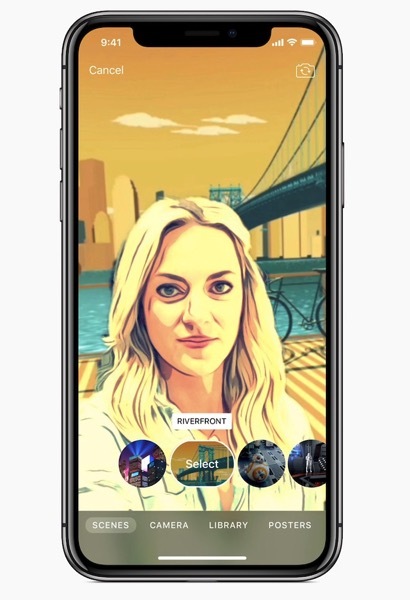 Users can choose from 10 immersive Apple-designed Selfie Scenes and 2 Star Wars Selfie Scenes in the updated Clips app. Each scene is a full 360-degree experience, so it surrounds users on all sides as they move iPhone X, whereas environmental sound effects make scenes even more immersive. The update also adds new stickers, posters and soundtracks. More content from Disney includes full-screen posters featuring Mickey Mouse and Minnie Mouse, as well as Star Wars stickers featuring animated versions of Princess Leia, Luke Skywalker, Darth Vader, Chewbacca and others. Users can also add 16 new Apple-designed stickers and 21 new royalty-free soundtracks to their videos. Apple has also streamlined the Clips UI, while introducing a new Effects browser lets users view and choose filters, labels, stickers and emoji. Furthermore, iCloud support lets users access and edit their Clips videos across all their iOS devices. You can grab the free app using the following App Store link.